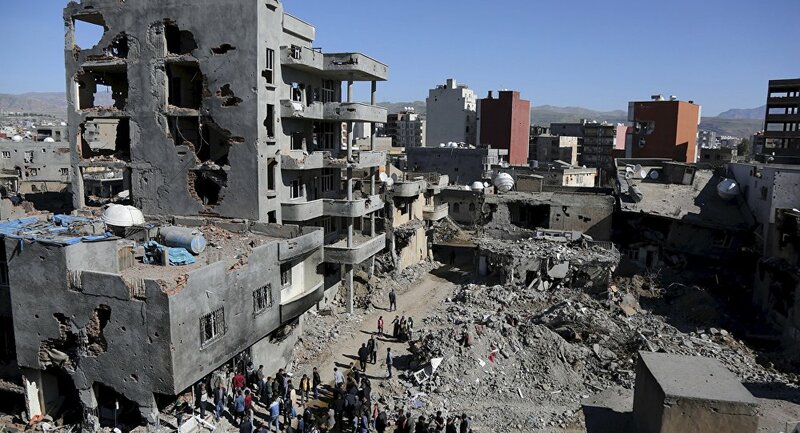 Turkey's Human Rights Association watchdog submitted a report about the mass killing of Kurds in the town of Cizre to the United Nations High Commissioner for Human Rights. GENEVA (Sputnik) — A report with footage of mass killing of the Kurds in the town of Cizre in Turkey’s southeastern Sirnak province has been submitted to the Office of the United Nations High Commissioner for Human Rights (OHCHR), a Turkish rights watchdog said Tuesday. In March, the RT television channel launched a petition calling on the United Nations Human Rights Council to investigate reported mass killing of Kurds in southeastern Turkey. The broadcaster sent footage of mass killings of Kurds in Cizre to several human rights organizations, including the OHCHR, the International Committee of the Red Cross and Amnesty International, but the institutions either refused to comment or stated they would not be able to launch an investigation. In February, Kurdish activists claimed Turkish troops had burned some 120 civilians to death in basements in Cizre.